Short Product Description: Tamanu oil is thought of as a natural treatment for acne and acne scars. 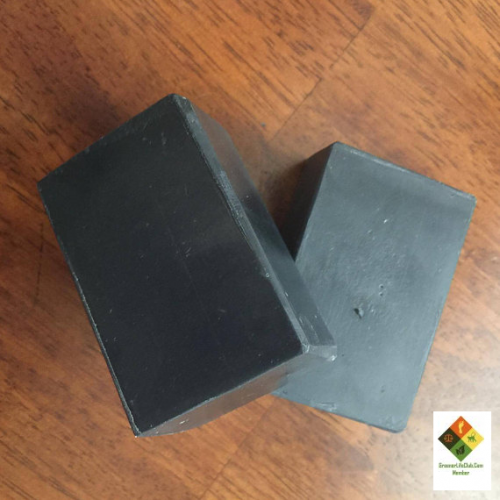 Activated Charcoal helps to grabs dirt and oils and helps to bring it out of pores, leaving skin clean and refreshed feeling. Tea Tree Oil is thought to be an antibacterial, an antimicrobial & an antiseptic so it is thought to be good for acne. Tamanu oil is thought of as a natural treatment for acne and acne scars. Activated Charcoal grabs dirt and oils and helps to bring it out of pores, leaving skin clean and refreshed feeling. Each bar is handmade so will be slightly variable. olive oil, distilled water, coconut oil, palm oil, sodium hydroxide (lye), Tamanu oil, castor oil, tea tree essential oil, activated charcoal, sodium lactate.